Are you a blogger? Or you have friends who are into blogging? If the answer of any of these questions is yes, that means you at least know what the blogging is.? It is always the best idea to gift something which helps a person in his daily routine. 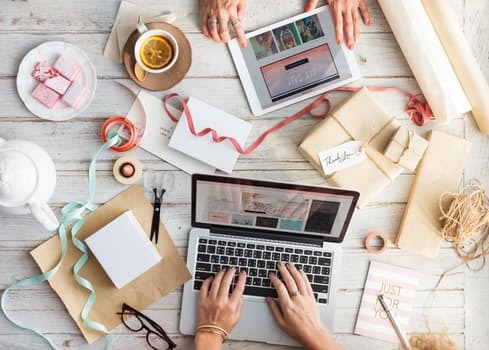 When it comes to gives the gift to a blogger friend, you do not need to scratch your brain too much as there are so many options available as gifts for professional bloggers. To make things easy for you, I am going to share the best tech gifts, which not only surprise your blogging friends and also be really useful for them. The best thing about blogging is that a blogger can work remotely. He can work from anywhere and anytime. This makes him moving most of the time carrying the laptop. A good quality laptop backpack which is also waterproof is definitely a good gift for any professional blogger. There is no doubt that people are habitual of watching time on smartphones. But watching time on the smartwatch is actually time-saving as you need not to go to your pocket again and again to watch time. In the life of professional bloggers time matters a lot. So a smartwatch is really helpful. It also helps to easily manage apps, stay connected with smartphones, easily track activity and also use as fitness band. A Gaming laptop is the best tech gift for a game blogger. A game blogger has to test new games to write helpful gaming laptop reviews and stay updated with latest updates in new and upcoming games. Gaming laptop gift not just surprise them but also make them fall in love with your gift. Who does not want a smartphone? If you are going to gift a smartphone, chances are that you already know what type of smartphone your blogger friend is using and which smartphone can offer him more advanced features. These days’ blog app, game apps, and latest news apps are really helpful for bloggers to understand what is going on in the industry and make their blog updated with current trends. Every blogger knows the importance of high-quality images. Bloggers can click photos with their smartphone also but nothing can beat the features of a professional digital camera. Gift of a professional digital camera will be really helpful for your blogger friend to capture high-quality pictures and use them on his/her own blog or social networks. These are the best gifts for bloggers which will surely make them fall in love you or the gift. Next time you need to send the gift to a professional blogger, consider one from the list.